Do you know how to trust your gut? This week’s episode was all about intuition. What it means to be intuitive, using intuition in decision making, when to trust your gut, and how to listen to your instincts. 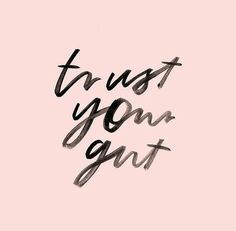 Here are some wiZdoms you can use to practice trusting your gut! Listen to your instincts: Don’t ignore those feelings when you get them and use them as guidance when making decisions. Find some solitude: Get some peace and quiet or meditate every day. These moments help us get into a deeper level of thought. Listen to your body: When you get a feeling in your gut, listen! It is your instincts trying to tell you something. Allow yourself some down time: Free days can help clear our minds so we aren’t stifling our ability to hear our instincts. Trust your first impressions: When things feel right don’t fight it! When something feels off, it probably is. Beware of analysis paralysis: Don’t get bogged down by too much information. Find a happy medium between fact checking and your instincts. Do you think you’re intuitive? Take our quiz to find out! When do you trust your gut instincts? Let us know by leaving us a voicemail at 1-646-653-9278 or sending us a message here. ← TAKE OUR QUIZ: Do you know how intuitive you are?